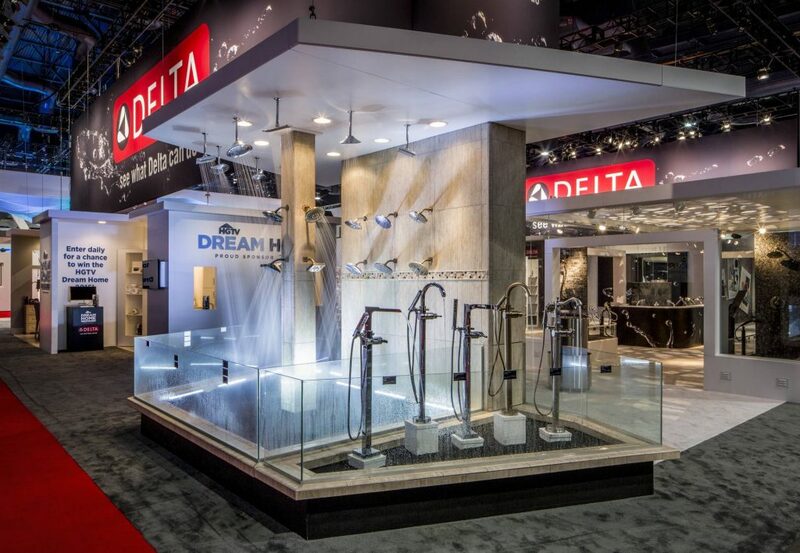 Scores of working showers and faucets reveal the comfort and beauty of all things Delta. 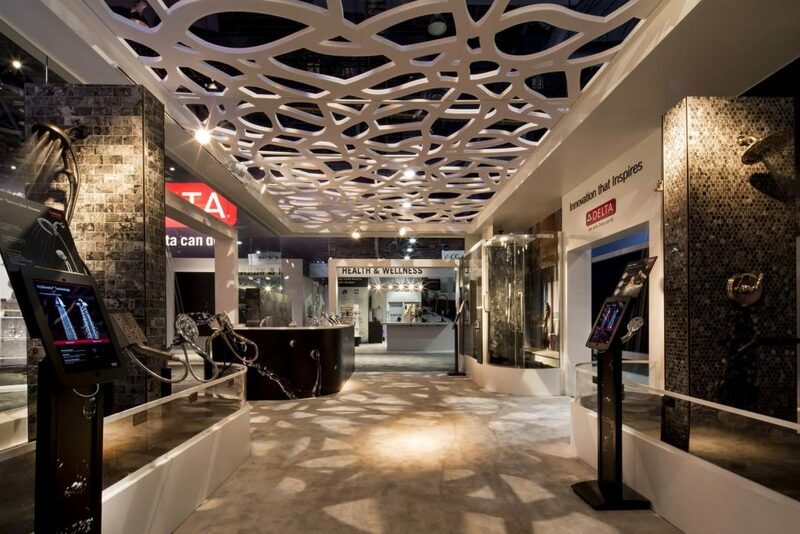 A natural, organic pattern overhead provides warm definition of space while avoiding expensive ceiling and fire sprinkler restrictions.Our digitally controlled fabrication technology delivers refined quality at a reasonable cost. 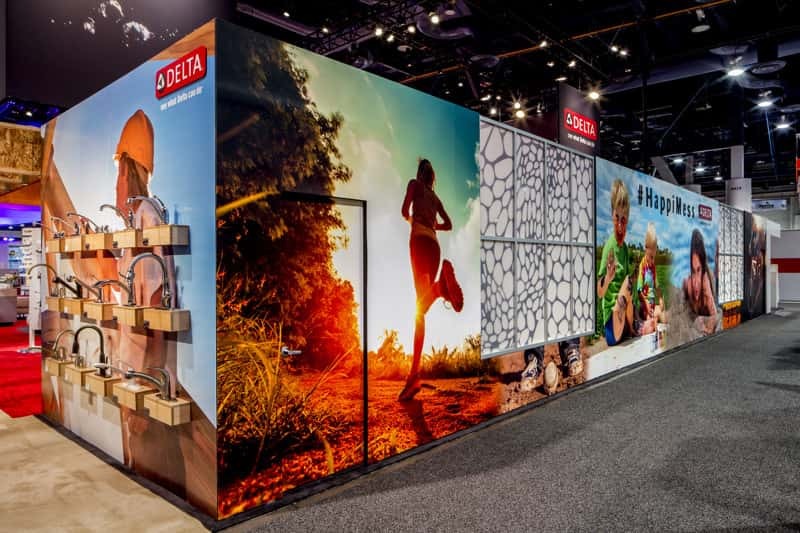 Exteriors walls carry bold, branded graphics along with product to make every inch of Delta’s space work for business benefit. 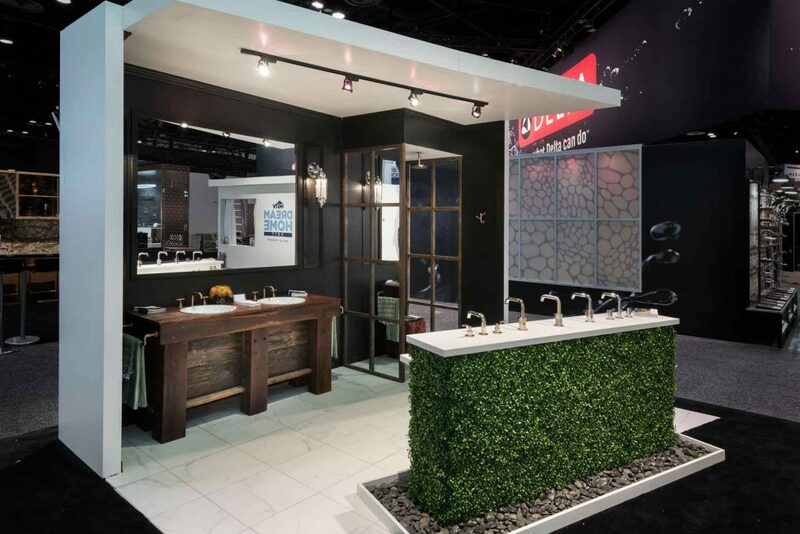 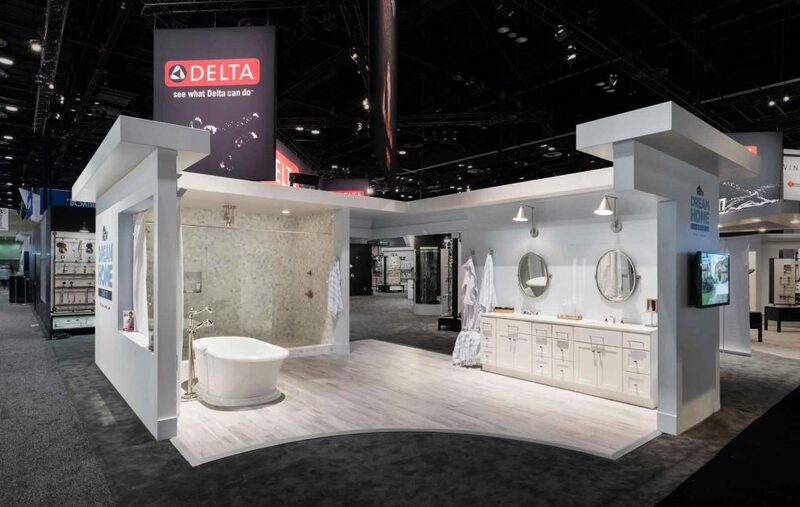 The Delta brand delivers exceptionally well-made, stylish faucets and related kitchen and bath accessories that are both beautiful inside and out. 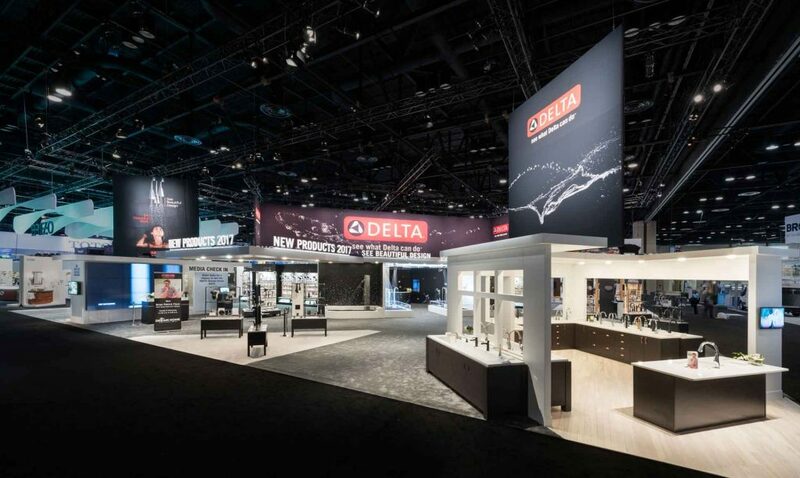 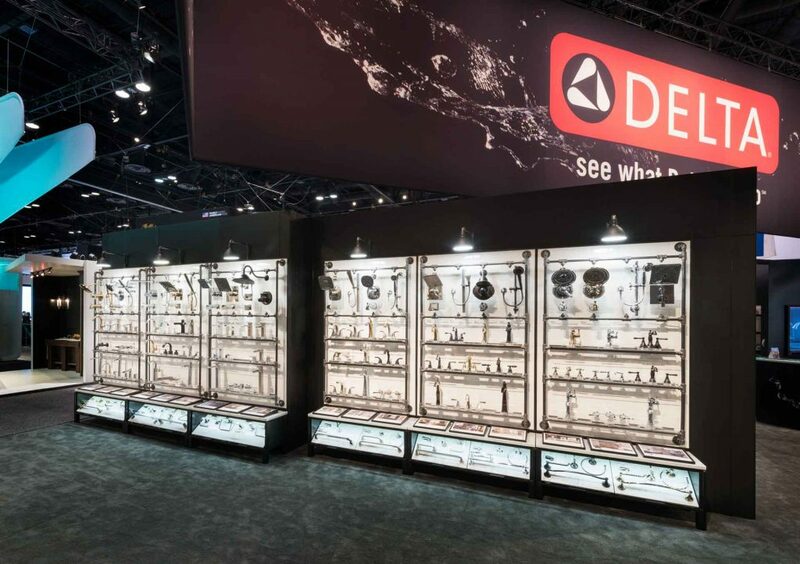 We deliver on a broad range of tradeshow and event projects with an integrated system of resources to tell the Delta story with clarity and consistency.